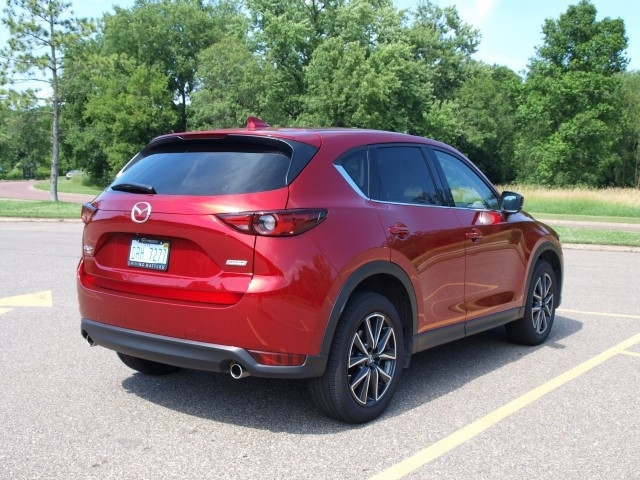 The first Mazda CX-5 was a major hit! In relative terms, the CX-5 helped raise the profile of the company by introducing a smart-sized SUV in a very competitive segment. Instead of following everyone else’s trends, Mazda set their own benchmarks by combining Skyactiv engineering technology and the needs of those who live active lifestyles. While the CX-5 hit the mark with consumers, Mazda’s ambitions began to take flight. They want to seek an upwardly mobile customer. In doing so, Mazda is raising the level of quality and content in their latest products. Though they want to attract their core customer base of enthusiasts and loyalists, there is a want to take the brand further to attract those who seek a better vehicle overall. This new strategy began with the new CX-9 SUV. It continues with this newest 2017 CX-5. We loved the previous model for what they did for Mazda. We now wonder whether this newest version of the CX-5 will fulfill the brand’s want of upward mobility while keeping its current customer base engaged. This is a loaded premise. Hopefully, our 2017 CX-5 Grand Touring tester will help us in answering it. One thing you will see is its next-generation of the “KODO – Soul of Motion” design language. It might appear to be an evolutionary design from the original CX-5, there is more than the eye will point out. The headlamp and tail lights units are narrower, the grille is more three-dimensional, and the lines are much sharper. The placement of the chrome trim around the side windows is tastefully done. There is a point of contention surrounding the 19-inch alloy wheels on our Grand Touring tester. The black rim color sometimes will fool those who look at them from afar—even with the satin chrome spoke trim. We think they’re cool. It brings out a personality that denotes a sportier and more adventurous look overall to the CX-5. While Mazda worked on the exterior to meet the new design standards laid down by last year’s CX-9, they followed suit inside. Not only is the design more upmarket with higher-quality materials, they improved a lot on readability of instruments and overall operation of the infotainment system and other controls. Bose offered up 10 speakers for very good sound. Mazda Connect drives the system through its suite of infotainment options. The primary controller is a knob on the center console, accompanied by a set of buttons for specific menu items. The one advantage Mazda has over other competitors is that you can set up as many favorite radio channels as you want—across all bands, including HD Radio broadcasts—with no limits or limitations. The Parchment leather seats fit a lot of bodies and offer plenty of support and bolstering. They are on the firm side but can soften up gradually over time. Front seat space is exceptional, but it will be the back seats that will surprise you. There is more than enough leg and head room in the back for people over six feet tall and the doors open wide, almost to 90 degrees. A power-operated liftgate offers ease of access to an expandable cargo space. Your cargo is protected with a rear shade attachable to the liftgate. It does operate almost like a window shade, which is great for even further privacy when loading into the rear. There is up to 59.6 cubic feet of space to haul in the back. For the new CX-5, Mazda chose to offer only one engine at this point. 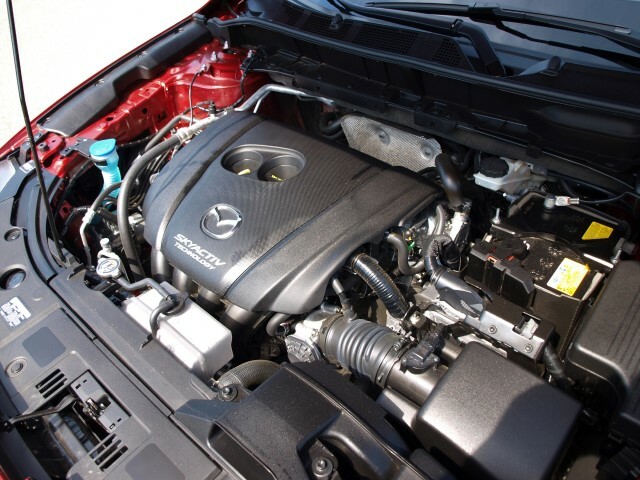 The 2.5-liter Skyactiv four-cylinder engine does not need a turbocharger to serve up 187 horsepower from its high-compression motor. This engine is connected to a six-speed automatic transmission and, in our tester, the i-ACTIV all-wheel drive system. 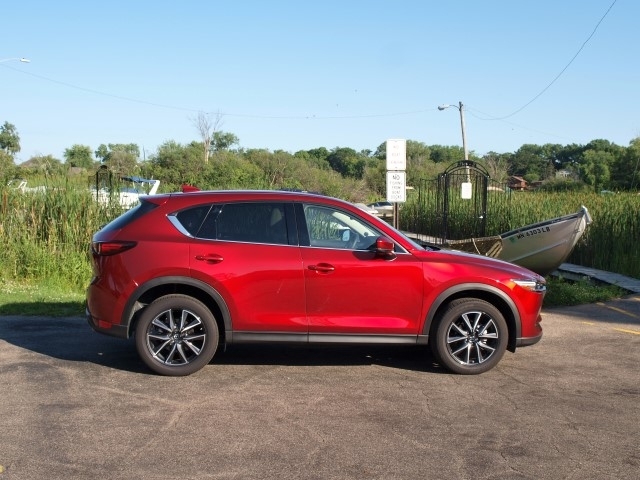 Performance is quite good, with over 3,600 pounds of crossover/SUV to pull around, though we’d like some more low-end torque for better passing control. For fuel economy, we averaged 26.5 MPG. It is one thing to say that this new CX-5 is safe. It is even safer than before. 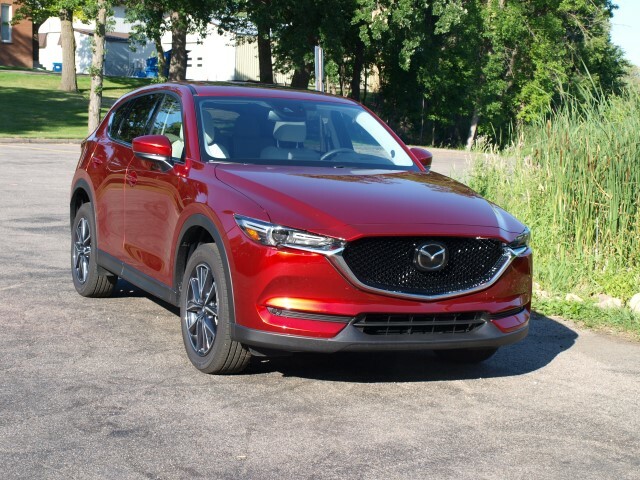 This sounds like an understatement, but the Insurance Institute for Highway Safety crash tested the CX-5 toward awarding it its “Top Safety Pick +” designation. Active safety features include Smart City Brake Support, radar cruise control, blind spot monitoring, rear cross-traffic alert, lane departure warning, and Lane Keep Assist. Pricing for the new 2017 CX-5 starts at $24,045. Our tester came with a sticker price of $34,380. To say that this new 2017 Mazda CX-5 is better than the previous model is quite an understatement. To say that it is a scaled-down version of the ground-breaking CX-9 would be incorrect. What the new CX-5 represents is the next step toward moving the brand upmarket, while competing in the hottest automotive segment in this country. It has one eye on products, such as the Acura RDX and Buick Envision, while still battling the Honda CR-V, Toyota RAV4, and Nissan Rogue. But the Mazda CX-5 is its own kind of crossover/SUV. It need not be defined by class or price segment. It is for those who love living active lifestyles, but want some level of sophistication and a high level of safety built in. If you happen to fall into this type of customer, this is the vehicle for you. In fact, it has always been. It continues to be so now.